click on Submit a Request at the top of the page. 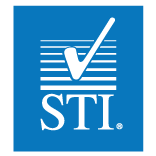 click Sign In and register for an Access STI account. click on and Submit a Request at the top of the page. To track all your engineering requests, click Sign In and register for an Access STI account.